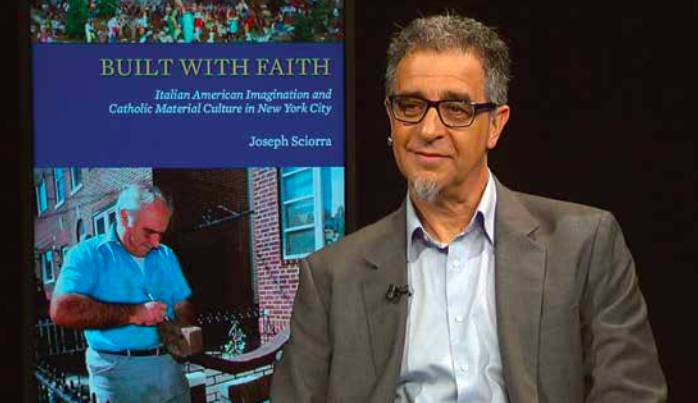 Joseph Sciorra, one of the few scholars in the world to take this material seriously, provides masterful insights into what most people take for granted and even more ignore. His “thick descriptions” of private shrines, presepi—Nativity scenes, the Rosebank Grotto of Staten Island, New York, and religious processions, are all well grounded in thorough histories and journalistic accounts of these public performances of personal devotions to Catholic saints. Chapter One, “Private Devotions in Public Pulaces” covers the evolution of the Roman larari—shrines to gods found in homes, gardens and streets of ancient Rome — to their historical le edicole in Italy, contemporary manifestations of these can be found in “bathtub madonnas,” front stoop shrines during feste, statues and yard altars that all become what Sciorra calls “Points of Encounter, Nodes for Communication,” where people can meet and discuss their reactions to these public expressions of private devotions. Along with historical data and interpretative analyses, Sciorra presents interviews with builders and devotees and includes anecdotes from his encounters over the years. If you’ve ever wondered why people decorate the outside of their homes during the Christmas season, Chapter Three presents, in great mix of academic and journalistic style, not only the history of these practices, which actually originate in Northern Europe and the U.S., but also culturally critical insights as to how these practices are rooted in conceptions of social class and taste. 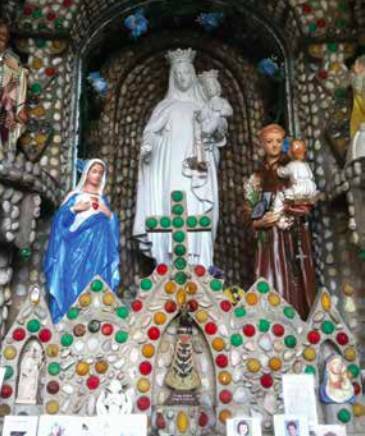 In Chapter Four, Sciorra provides an in-depth study of the creation and evolution of the Our Lady of Mount Carmel Grotto in Rosebank, Staten Island. 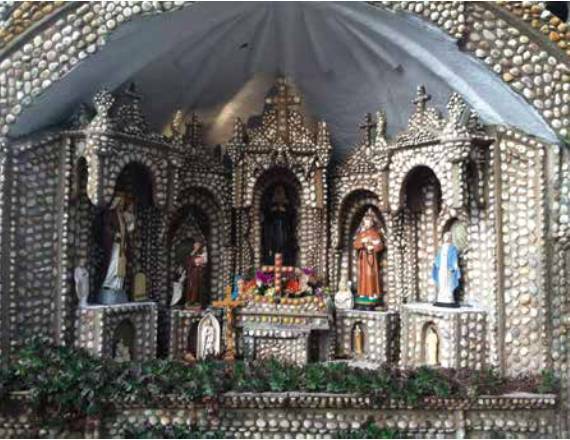 Through his study of this shrine he captures the “multivocality” of a community project through interviews with and accounts of those who were present at its creation, and those who have come along to maintain this important site of religious devotion. 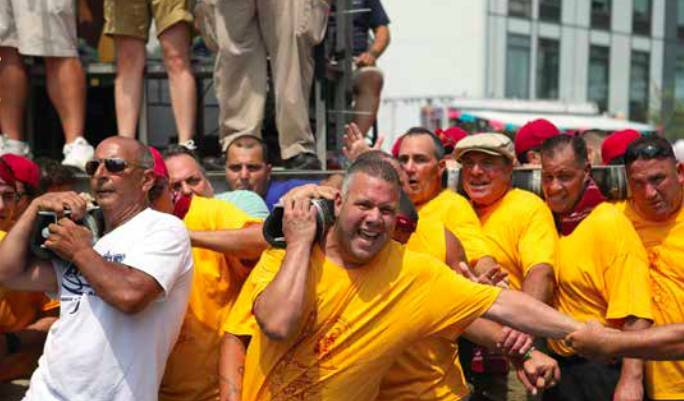 Chapter Five covers the important aspects of religious feste processions and their relationships to multicultural geographic spaces and their populations in the city. Each chapter is well illustrated with clearly reproduced photos and illustrations that bring to life the impact that material culture has on spiritual developments. A concluding chapter brings all the studies together to demonstrate how past and present migrations and settlements speak to and through these public representations of personal beliefs, helping us to better understand the shifting mosaic lives in New York City.